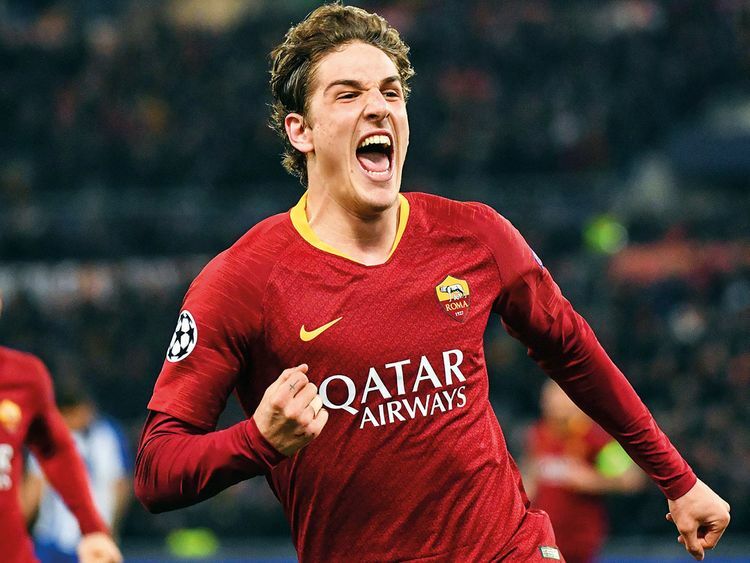 Rome: As Roma teenager Nicolo Zaniolo has been told to keep his feet on the ground after he became the youngest Italian to score twice in a Uefa Champions League match as they beat visiting Porto 2-1 in their last 16, first leg on Tuesday. It’s right for him to be lauded, he has done well” Di Francesco said in a post-match news conference. I hear people taking credit for Zaniolo, but then it’s me who coaches him. Now he needs balance, especially with those who are around him.” Di Francesco was pleased with his side’s performance, particularly in the second half, despite them conceding what could be a crucial goal for Porto with 10 minutes left. We grew into the game and used the ball better, the central midfielders were better with the quality of their play” he said after Edin Dzeko struck the post in an uneventful first period. The two teams were looking at and studying each other. We hit the post in the first half too, it was good. In the second half we had more determination in the final third. It was one of our best performances from the perspective of feeling like a team.” Porto coach Sergio Conceicao believes the tie remains finely poised ahead of the second leg in Portugal on March 6. At the start it was balanced, then when we tried to be more incisive we conceded” he said.